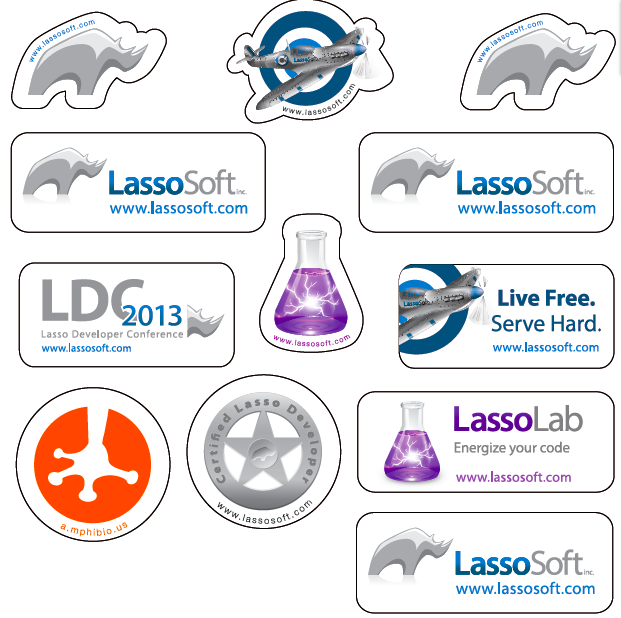 Check out the cool 2013 LassoSoft stickers. Ordering details will be posted after the conference is over. An error has occurred. The error has been logged and the system administrator has been notified. You may go back and try again now, or, if the error persists, try again later. We apologize for the inconvenience.